I found this in southeast Utah. It was in a late Cretaceous pebble conglomerate near Hovenweep National Monument. I found it securely attached to the conglomerate matrix. The fossil exhibits a bilateral symmetry and angular, regular features. 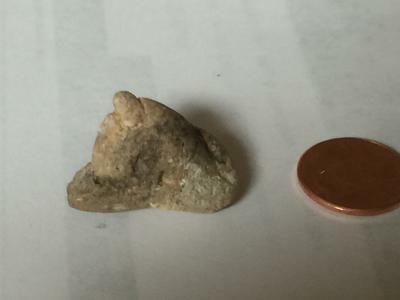 It is still partially embedded in a pebble. seen some fossil sites checking out some of mine.noticed one very similar to the one you have shown also none as pelecypod.but i could be wrong check on line may see some. This is an interesting specimen, unfortunately I can't shed any light on what it is. Sorry.